Ultrasound is by far, the most frequently used imaging modality in patient’s pathway being used by office-based clinicians and in most of hospitals’ departments. This is also true for cancer patients. As the contribution of imaging to the clinical assessment of patients becomes more substantial, the argument around “who is qualified” to perform such assessment is becoming louder and definitely more relevant! Both the European and the North America Radiology societies are pushing towards establishment of centralized ultrasound services within the hospitals radiology department, still most ultrasound machines are spread between the different departments and being used by all practitioners. ESR’s working group on ultrasound published a report on the status of ultrasound-practice in European hospitals. Quite a shame; only 13% of the hospital addressed for participation in the survey reacted positively. I would like to highlight the most relevant conclusion from this survey, which is valid no matter which hand is holding the probe: Technique-oriented teaching, time and examinations are necessary to learn how to use Ultrasound properly within the framework of organ-oriented and disease training. Personally, I would support the idea that when it comes to management of cancer patients, this will become a “quality requirement” by law, similar to rules applicable to using radio-active substances. To gather information from radiological departments in Europe assessing the organisation and practice of radiological ultrasound and the diagnostic practice and training in ultrasound. A survey containing 38 questions and divided into four groups was developed and made available online. The questionnaire was sent to over 1,000 heads of radiology departments in Europe. Of the 1,038 radiologists asked to participate in this survey, 123 responded. Excluding the 125 invitations to the survey that could not be delivered, the response rate was 13 %. Although there was a low response rate, the results of this survey show that ultrasound still plays a major role in radiology departments in Europe: most departments have the technical capabilities to provide patients with up-to-date ultrasound examinations. Although having a centralised ultrasound laboratory seems to be the way forward, most ultrasound machines are spread between different departments. Ninety-one per cent of answers came from teaching hospitals reporting that training is regarded as an art and is needed in order to learn the basics of scanning techniques, after which working in an organ-oriented manner is the best way to learn how to integrate diagnostic US within the clinical context and with all other imaging techniques. • Hospitals should introduce centralised ultrasound laboratories to allow for different competencies in US under the same roof, share human and technological resources and reduce the amount of equipment needed within the hospital. • Technique-oriented teaching, time and examinations are necessary to learn how to use US properly within the framework of organ-oriented training. • A time period of about 6 months dedicated solely to learning US scanning techniques is deemed sufficient in most cases. The Working Group on ultrasound (US) of the European Society of Radiology was founded in 2009 with the aim of supporting increased quality and visibility of US within radiological departments as well as strengthening the position of US within the radiology community. Among the many practical goals assigned to the group, one of the most important has been to gather information about the organisation and practice of radiological US in Europe. 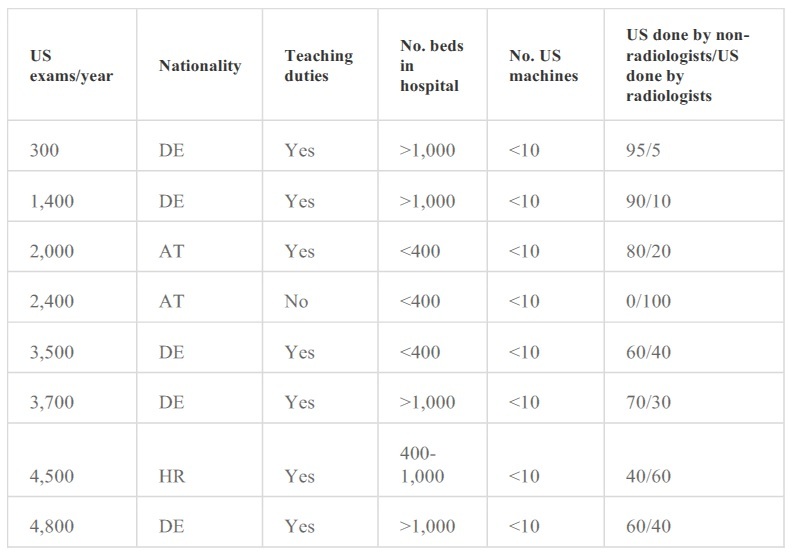 This article reports the results of a survey assessing how diagnostic US is practiced and how training in US is organised in radiological departments of European hospitals. Questions were also aimed at evaluating the practice of US within both radiology and other hospital departments in order to understand the relationships among the different users of this technique. 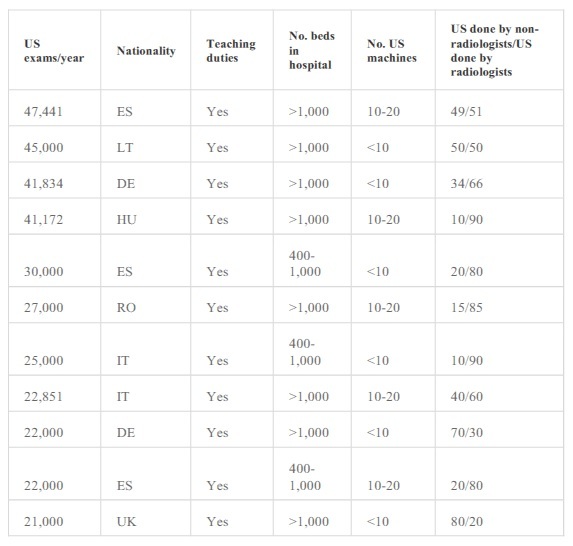 A comparison with the results of a previous survey on the US activities within 17 academic radiological departments throughout Europe published in 1999 by Schnyder et al. was also attempted. A questionnaire was developed to obtain data about the practice of diagnostic US within radiology departments in Europe. Related to the hospital: location; dimensions; presence or absence of teaching duties. Related to the workload of US: number of US examinations/year, amount of US equipment available; state of available technology; types of most frequent examinations; organisation of the US laboratory; presence of sonographers; methods of reporting and archiving US examinations. Related to the teaching of US to radiology residents: organisation and duration of training programmes; number of examinations to be performed before completion of the training period; presence of training programmes dedicated to sonographers or other non-radiology residents. Related to the US examinations performed outside radiology in each hospital; clinical specialists most often involved in performing directly US; availability of special techniques, such as contrast-enhanced ultrasound (CEUS); methods of reporting and archiving US examinations. The questionnaire was made available online and an invitation to fill it in was sent to all 1,038 heads of radiology departments throughout Europe within the database of the European Society of Radiology. The invitation was repeated three times over a period of 3 months, between June and August 2011. There were 123 responses to the questionnaire. Considering that 125/1,038 e-mail messages were reported as “undelivered”, the response rate to the invitation was 13 %. Many responders did not answer all the questions presented in the questionnaire, and some answers and comments were somewhat difficult to understand and evaluate. Answers were gathered from different parts of Europe; 63.4 % were from five nations (Germany, Austria, France, Spain and Italy). The distribution according to countries is presented in Table 1. There were 25 responses (20.3 %) from hospitals with fewer than 400 beds, 52 (42.3 %) from hospitals with between 400 and 1,000 beds and 46 (37.4 %) from hospitals with more than 1,000 beds. Most answers were from teaching hospitals (91.1 %). Most radiology departments (77 %) have fewer than 10 working US units; 22 % have between 10 and 20 US machines; only 0.8 % have more than 20 machines. Small, portable units are available in 64.5 % of departments, 3D/4D capabilities are present in 52 % and elastography in 48.2 %, and 67.3 % have the possibility to perform CEUS examinations. Up to 57.6 % of radiology departments perform more than 10,000 examinations per year; between 3,000 and 10,000 examinations per year are performed in 33.1 % of cases; only 9.3 % of departments perform fewer than 3,000 examinations. Abdominal US is the most frequent exam (51.51 %), followed by breast (14.46 %), musculoskeletal (11.59 %), pelvic (10.88 %) and vascular (10.42 %) US examinations. Contrast-enhanced US (CEUS) studies constitute about 4.39 %. US is used by radiologists in emergency in 96.6 % of cases and in paediatrics in 74.6 %. Comments indicate that most of those who answered “no” did not have a paediatric section in their hospital. 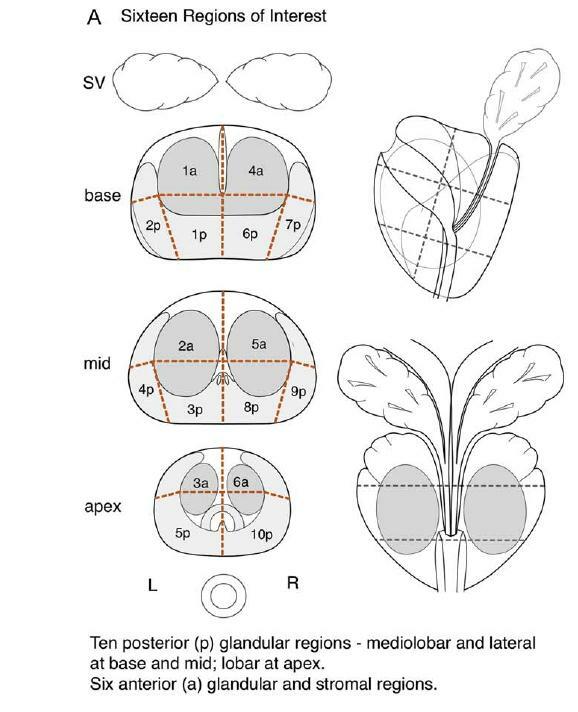 Transvaginal US is used in obstetric examinations by 15.8 % of responders and in gynaecological studies by 50.7 %. Endoscopic US is used by radiologists in 13.4 % and intravascular US in 14.6 %; radiologists are called by surgeons for intraoperative US in 64.2 % of cases. There were 49 responders who indicated the actual number of US examinations performed/year. The characteristics of hospitals in which the radiology department performs more than 20,000 ultrasound examinations/year are presented in Table 2. Those who reported fewer than 5,000 US examinations/year are reported in Table 3. The first question in this group was whether the hospital was organised with a centralised US laboratory where physicians from all specialties work together. There were 13/110 positive answers (11.8 %) from Germany (5), Spain (3), Austria (2), Hungary (2) and Croatia (1). All other hospitals have US machines scattered throughout the different radiological and non-radiological departments. The centralised US laboratory is organised together by the radiology and the internal medicine departments in three cases; it is truly multidisciplinary, with all specialties concurring, in three others; it is run by radiology in two. The remaining two positive answers did not provide further detail about their organisation. The second question related to the role of sonographers. Only 15/110 (13.6 %) department heads stated they work with sonographers. They are located in Spain (3), Germany (2), UK (2), The Netherlands (2), Austria (1), Belgium (1), Ireland (1), Lithuania (1) and Montenegro (1). In all others, US examinations are done directly by the radiologists. There were 12 comments describing how the work of sonographers is organised. Sonographers do both the examination and the report, with the radiologist checking difficult cases only in four hospitals; sonographers do the studies and the radiologist takes a final look and writes the reports in six; two departments state they use sonographers for vascular examinations only. The third question related to the organisation of training programmes in US. Radiology residents are trained in 91.1 % of responders. Some centres organise a theoretical course on basic principles of US before starting practical activity. Then, clinical practice is usually performed according to organ/systems training schemes. Residents work under close supervision of a senior radiologist: they approach the patient, perform a preliminary examination and issue a first report, which is then checked by the expert. The aim is to obtain progressive growth of competences: from scanning capabilities, to reporting capabilities, to complete independence. The length of the period of training within the US laboratory in the various teaching hospitals and the minimum number of US examinations required before the end of the residency period are summarised in Tables 4 and5. There was a direct correlation between the number of US exams performed in the department and the depth of US involvement during training: training programmes in the two hospitals where the lowest number of US examinations/year is performed indicate a period of 3 months and 250 and 500 examinations. However, a hospital with a workload of 45,000 US studies per year (in which, however, the examinations are performed by sonographers) suggested only 2–3 months of training and 100 exams before the end of the residency period. Training is also provided for non-radiology residents in 37 hospitals. It is most frequently offered to internal medicine, gastroenterology, surgery, anesthesiology, vascular surgery and paediatrics. Comments indicate that these radiology courses allow only theoretical teaching, since observation, but not direct contact with patient, is provided for non-radiologists. All 15 departments working with sonographers provide, or are planning to provide, starting in 2012, training courses for these professionals. These include both theory and practice; the theoretical part is done, in some cases, together with radiology residents. As an important technical point, it must be noted that US images performed by radiologists are recorded into PACS systems in 85.6 % of cases. Comments on this question indicated that not all equipment is linked to PACS and that only selected images or videos are often archived; furthermore, technical problems in archiving videos have been reported. A final group of questions pertained to the US examinations performed outside the radiology department in each hospital. One question asked about the proportion of US examinations performed by radiologists vs. those performed by non-radiologists. European radiologists, as a whole, still perform a higher number of examinations (61.27 %) than non-radiologists (38.32 %). Differences in the percentage of studies performed in the different hospitals are presented in Table 6. Comments indicate that most OB/GYN, neurology, vascular, urology, internal medicine, anaesthesiology and gastroenterology departments run their own US units in their wards. CEUS is used in 35.1 % of gastroenterology departments, in 15.1 % of internal medicine, in 10.6 % of transplant units and in 10.4 % of nephrology departments. The examinations performed out of the radiology department are formally reported in 64.4 % of cases only. Comments indicate that reports are fully stored within the Hospital Information System (HIS) in 31 cases; storage is only partial in 24; no HIS storage is used in 5 cases. US images obtained outside of the radiology department are recorded into the PACS system of the hospital in 18.3 % of cases only. Several considerations are raised from the results of this survey. First, there was a low response rate to the survey itself. There were only 123 answers to the 913 received messages asking for information from radiology department heads (a mere 13 %). It is hoped that this low response rate relates to the many committments on their side and not to low interest in the role of US within radiology [2, 3]. Second, most responders indicated that US is still an important part of the activities of the radiology department. Only 9.3 % report fewer than 3,000 examinations/year. It must be noted that there may be a bias in these figures, since it is conceivable that responders were more interested in US than those who did not answer the questionnaire (even if there were responders who indicated that, in their hospital, US is done mostly outside of the radiology department). Most of the workload is due to abdomino-pelvic exams, followed by breast, musculoskeletal and vascular applications. Furthermore, state-of-the-art equipment is used in about 50 % and CEUS can be performed in 64.2 %. Portable machines are available in 64.5 %, transvaginal US examinations of the pelvis are used in 50.7 %, and radiologists are still involved in intraoperative US examinations in 64.2 % of cases. 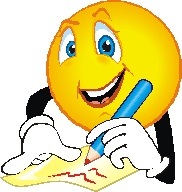 Most departments still have the technical capabilities to provide up-to-date US answers to the requests they receive. Another consideration relates to the organisation of US within the hospital. In most cases US machines are scattered throughout the different departments, and only 13 hospitals have organised a centralised US laboratory where all physicians from different specialities come to examine their patients. Although centralisation seems the best way to run a US service, there are several factors that can explain why this is not the case, many of which stem from tradition. US laboratories, in fact, commonly arose separately from one another, following the initiatives of the different specialists who started introducing this technique in their practice. Then, there is a disposition to maintain independence and separate departmental income from the activities as well as the desire to control all aspects of patients’ care. Only 15 departments reported they are working with sonographers. Although it is known that in Europe most radiologists perform US examinations directly, it is believed that this figure underestimates the real contribution of these professionals. A possible explanation is that only three hospitals from the UK answered the questionnaire; in the UK sonographers play a major role in dealing with the US workload. Most answers to the questionnaire came from teaching hospitals (91.1 %). Comments on how training is organised state that US scanning is commonly regarded as an art, taught from maestro to pupil, with progressive growth in scanning and reporting capabilities. In addition, most report that US is taught within an organ-/system-oriented training system. The “art” of US is highly dependent on the operator’s dedication and technical ability, and this has to be properly taught. Additionally, a period of training within a dedicated US laboratory is probably needed to learn the basics of scanning techniques. After learning the technique, working in an organ-oriented manner is surely the best way to learn how to integrate diagnostic US within the clinical context and with all other imaging techniques. There were 13 teaching hospitals in which fewer than 4 months is deemed sufficient, and in 20 cases having fewer than 500 examinations before the end of the residency is regarded as complete training. The low number of US examinations performed in some training centres can jeopardise teaching. The recruitment of patients for adequate training can be impossibile to obtain in low-volume practices, leading to a further decrease of radiological US for future generations of radiologists. Furthermore, the use of sonographers can make teaching the practical skills of US scanning difficult. In a hospital with high-volume US practice (45,000 cases/year) in which the examinations are performed by sonographers, residents are asked to remain in the US laboratory only for 2–3 months and to perform only 100 examinations before the end of training. When in clinical practice in a hospital without sonographers, these radiologists would not be able to carry out even routine diagnostic US examinations. On the contrary, the role of expert sonographers as a resource to provide practical training to radiology residents has not been considered and can be explored. The results of this survey show a large heterogeneity in the use of US within radiology throughout Europe. There are hospitals in which the majority of US examinations are still performed by radiologists, and others in which radiologists are left with only a small proportions of studies. Similar findings were observed by Schnyder et al. in 1999 . From their survey in 17 academic radiology departments throughout Europe, these authors reported that in some nations radiologists had full control of US, while this was not the case in Germany, Austria and Switzerland. The situation seems somewhat worse today, since there are 22 hospitals (18.2 %) in different nations (Austria, Poland, Germany, France, UK, Norway, Switzerland and Italy) in which radiologists perform less than 70 % of all US examinations and 5 (4 %) who answered they do less than 10 % of the studies. Since the answers to the questionnaire were provided by radiology departments, the figures for radiological activity can be considered as precise. On the contrary, it is possible that those answers on the US activities out of radiology can be regarded as an estimate. However, to the best of our knowledge, the data in the survey of Schnyder et al. were also obtained in a similar way, and a comparison can thus be made. The percent decrease in the number of US examinations done in radiology vs. those performed outside radiology is probably related to a marked increase of the use of US by non-radiology clinicians rather than to a decreased attention to this technique by radiologists. In fact, new specialists, such as emergency physicians and anesthesiologists, are now using this technique as a complement to their visit or as a guide to therapeutic manoeuvres, and the so-called “point-of-care US” philosophy, in which US equipment accompanies the physician at the patient’s bedside to guide his/her therapeutic decision making, is gaining popularity. An additional point to be considered relates to the recording of US reports and images into the hospital informations system and PACS. US examinations performed by radiologists are archived within the PACS system in 85.6 %, while those performed by non-radiologists are stored in only 18.3 % of cases. Furthermore, radiologists provide a formal report in virtually all cases, while examinations performed out of radiology are formally reported in 64.4 %. Costs and technical difficulties in connecting all equipment to PACS and RIS are described as reasons for not recording US images, and this is especially the case for recording of video clips. The use of “point-of-care US” is a further difficulty for connecting equipment to PACS, and, within this framework, the US exam is not regarded as a separate study but as part of the physician visit. 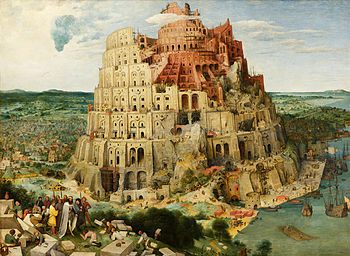 However, to have all US images and reports of the patient recorded and available for consultation could greatly help during subsequent studies, and efforts have to be made to develop consensus with clinical colleagues to increase connectivity and to report all US studies, at least as a description within the patients’ charts. Within the framework of the relationships established by the ESR WG in US with the European Federation of Societies for Ultrasound in Medicine and Biology (EFSUMB), it has been agreed to prepare and publish a recommendation about the necessity, for all US examinations, of a formal report and proper archiving of both report and images. Two points of action can be suggested. The first relates to the centralisation of the US laboratory. Although at the moment only a small number of hospitals are working according to this model, radiologists should take the lead in proposing such organisation . This would allow the gathering of all the different competencies in US under the same roof, to share human and technological resources and to reduce the amount of equipment needed within the hospital. In an era of cost containments, a centralised US laboratory can allow each US scanner operate for longer hours and with higher numbers of examinations, resulting in an optimisation of resources. Furthermore, requests to upgrade and/or renovate equipment would possibly be easier if coming from a large laboratory and shared by different hospital departments. Another advantage would be having people with different backgrounds work in the same environment, thus promoting exchange and integration of their knowledge and possibly resulting in better patient care. It would be easier, in this respect, to prepare institutional guidelines and protocols that place US in the correct perspective towards all other imaging modalities and, most importantly, towards patients’ needs. It is not clear from the survey how this way of working is organised on a day-to-day basis, and especially how emergency services are provided (i.e. if all specialists concur in the emergency or if this is left to radiologists only), but an integrated management and organisational infrastructure bears numerous advantages for cost containment, quality standards and efficiency. The second point of action relates to training in US within radiology residency programmes. In the opinion of the ESR Working Group on US, radiologists need to develop consensus on how many examinations under tutorship residents have to perform and on how much time they have to spend in ultrasound before the end of the training period. The results of the survey vary widely. However, out of 75 training centres that reported on the number of examinations, there were 39 (52 %) providing figures between 1,000 and 2,000 or higher. Therefore, approximately 2,000 seems to be a figure on which consensus can be reached. This figure also complies with what is suggested by the EFSUMB . This federation provides recommendations about the number of examinations for training in the different subspeciality areas of US: the sum of studies for abdomen, breast, musculoskeletal and vascular training is 1,500, while figures for head and neck are not provided. The length of training is more complex to decide. A distinction has to be made here between the time needed to learn the technique of US scanning and the time needed to learn how to use US properly, to integrate it with other imaging techniques and to provide useful reports. In order to perform US, both approaches are needed. Technique-oriented teaching is necessary to learn how to perform the studies and to identify anatomy and pathology. Time and exams are needed to learn how to use US properly within the framework of organ-oriented training. 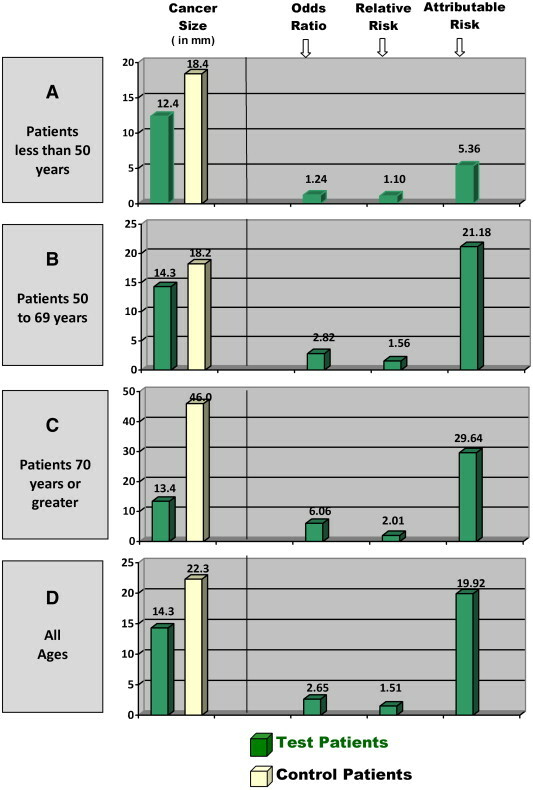 A period of time of about 6 months dedicated solely to learning the US scanning technique can possibly be considered sufficient, as suggested by 76.2 % of responders. The capabilities of residents to perform US examinations have to be assessed during the training period, especially during and at the end of the technique-oriented part. It is known that the learning curve can vary widely among trainees, and longer times and higher numbers of examinations may be needed in some cases . Additional time should be spent, and exams taken, during organ-oriented training. It must be underlined that organ-oriented teaching needs to include the proper role of US in each subspeciality and also take into account technical advances such as CEUS, 3D/4D and elastography and to use them when needed. This article was kindly prepared by the ESR Working Group on US (M. Bachmann-Nielsen, M. Claudon, L. E. Derchi, S. Elliott, G. Mostbeck, C. Nicolau, S. Yarmenitis, A. Zubarev, Y. Menu–Chair of the ESR Professional Organisation Committee and J.A. Reekers–Chair of the ESR Subspecialty Societies Committee) on behalf of the European Society of Radiology. It was approved by the ESR Executive Council in April 2013. In the context of cancer-management, imaging is pivotal. For decades, ultrasound is used by clinicians to support every step in cancer pathways. Its popularity within clinicians is steadily increasing despite the perception of it being less accurate and less informative than CT and MRI. This is not only because ultrasound is easily accessible and relatively low cost, but also because advances in ultrasound technology, mainly the conversion into PC-based modalities allows better, more reproducible, imaging and more importantly; clinically-effective image interpretation. The idea to rely on ultrasound’s physics in order to measure the stiffness of tissue lesions is not new. The motivation for such measurement has to do with the fact that many times malignant lesions are stiffer than non-malignant lesions. The article I bring below; http://digital.studio-web.be/digitalMagazine?issue_id=254 by Dr. Georg Salomon and his colleagues, is written for lay-readers. I found it on one of the many portals that are bringing quasi-professional and usually industry-sponsored information on health issues; http://www.dieurope.com/ – The European Portal for Diagnostic Imaging. Note, that when it comes to using ultrasound as a diagnostic aid in urology, Dr. Georg Salomon is known to be one of the early adopters for new technologies and an established opinion leader who published many peer-review, frequently quoted, papers on Elastography. The important take-away I would like to highlight for the reader: Quantified measure of tissue’s elasticity (doesn’t matter if is done by ShearWave or another “Elastography” measure implementation) is information that has real clinical value for the urologists who needs to decide on the right pathway for his patient! Note: the highlights in the article below are added by me for the benefit of the reader. Prostate cancer is the most common cancer in males with more than 910,000 annual cases worldwide. With early detection, excellent cure rates can be achieved. Today, prostate cancer is diagnosed by a randomized transrectal ultrasound guided biopsy. However, such randomized “blind” biopsies can miss cancer because of the inability of conventional TRUS to visualize small cancerous spots in most cases. Elastography has been shown to improve visualization of prostate cancer. 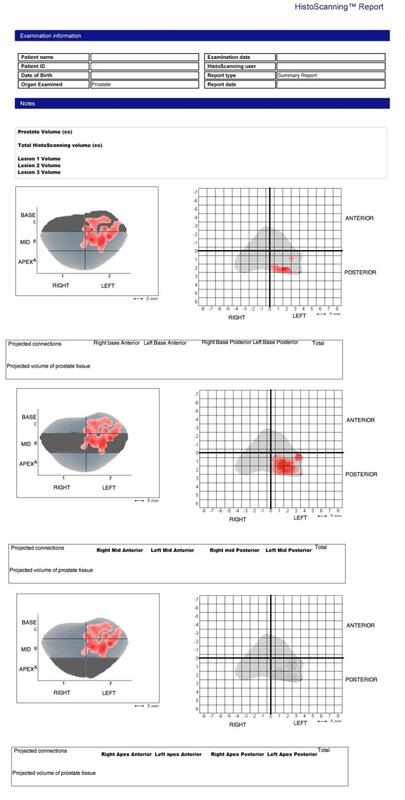 The innovative ShearWave Elastography technique is an automated, user-friendly and quantifiable method for the determination of prostatic tissue stiffness. The detection of prostate cancer (PCA) has become easier thanks to Prostate Specific Anti­gen (PSA) testing; the diagnosis of PCA has been shifted towards an earlier stage of the disease. Prostate cancer is, in more than 80 % of the cases, a heterogeneous and multifocal tumor. Conventional ultra­sound has limitations to accurately define tumor foci within the prostate. This is due to the fact that most PCA foci are isoechogenic, so in these cases there is no dif­ferentiation of benign and malignant tissue. Because of this, a randomized biopsy is performed under ultrasound guidance with at least 10 to 12 biopsy cores, which should represent all areas of the prostate. Tumors, however, can be missed by this biopsy regimen since it is not a lesion-targeted biopsy. When PSA is rising — which usually occurs in most men — the originally negative biopsy has to be repeated. What urologists expect from imag­ing and biopsy procedures is the detection of prostate cancer at an early stage and an accurate description of all foci within the prostate with different (Gleason) grades of differentiation for best treatment options. In the past 10 years a couple of new innovative ultrasound techniques (computerized, contrast enhanced and real time elastography) have been introduced to the market and their impact on the detection of early prostate cancer has been evaluated. 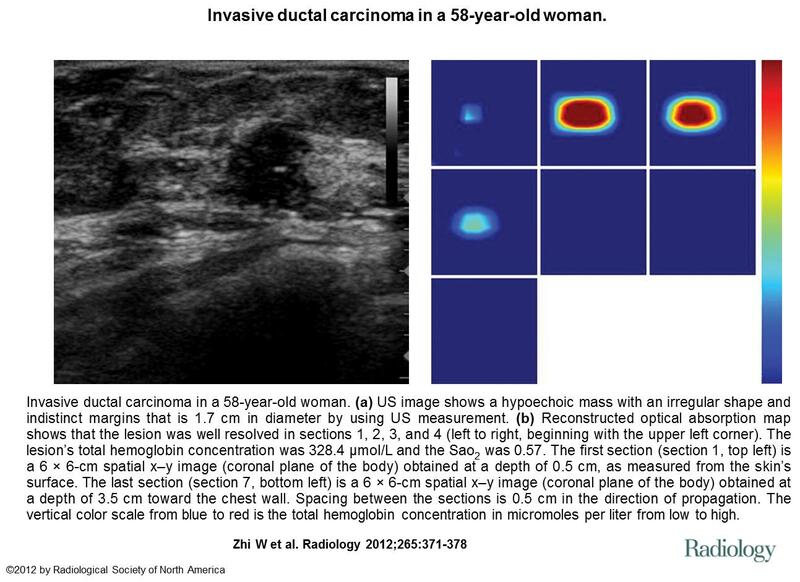 The major benefit of elastography compared to the other techniques is its ability to provide visualization of sus­picious areas and to guide the biopsy needle, in real time, to the suspicious and potentially malignant area. 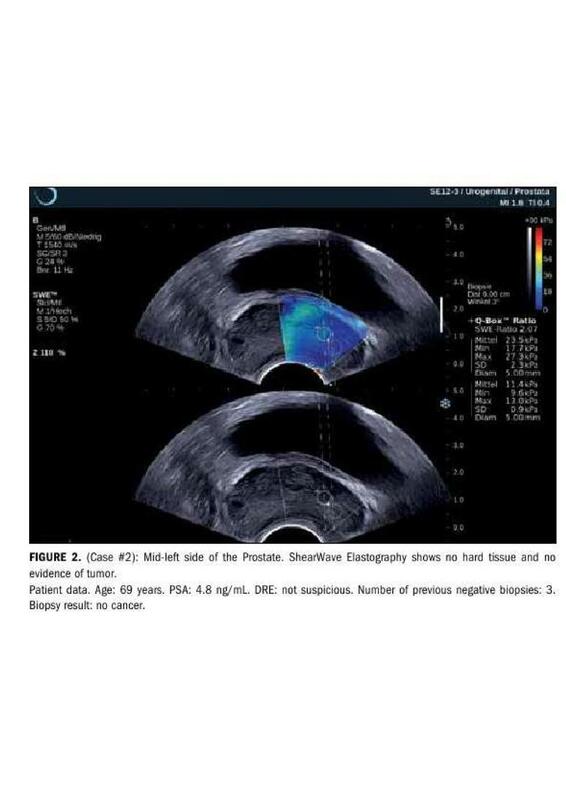 Ultrasound-based elastography has been investigated over the years and has had a lot of success for increasing the detection rate of prostate cancer or reducing the number of biopsy sam­ples required. [1-3]. Different compa­nies have used different approaches to the ultrasound elastography technique (strain elastography vs. shear wave elastography). Medical centers have seen an evolution in better image qual­ity with more stable and reproducible results from these techniques. One drawback of real time strain elastography is that there is a sig­nificant learning curve to be climbed before reproducible elastograms can be generated. The technique has to be performed by compressing and then decompressing the ultrasound probe to derive a measurement of tissue displacement. Today there are ultrasound scanners on the market, which have the ability to produce elastograms without this “manual” assistance: this technique is called shear-wave elastography. While the ultrasound probe is being inserted transrectally, the “elastograms” are generated automatically by the calcu­lation of shear wave velocity as the waves travel through the tissue being examined, thus providing measure­ments of tissue stiffness and not dis­placement measurements. There are several different tech­niques for this type of elastography. The FibroScan system, which is not an ultrasound unit, uses shear waves (transient elastography) to evaluate the advancement of the stiffness of the liver. Another technique is Acous­tic Radiation Force Impulse or ARF1 technique, also used for the liver. These non-real-time techniques only provide a shear wave velocity estimation for a single region of interest and are not currently used in prostate imaging. A shear wave technology that pro­vides specific quantification of tissue elasticity in real-time is ShearWave Elastography, developed by Super-Sonic Imagine. This technique mea­sures elasticity in kilopascals and can provide visual representation of tis­sue stiffness over the entire region of interest in a color-coded map on the ultrasound screen. 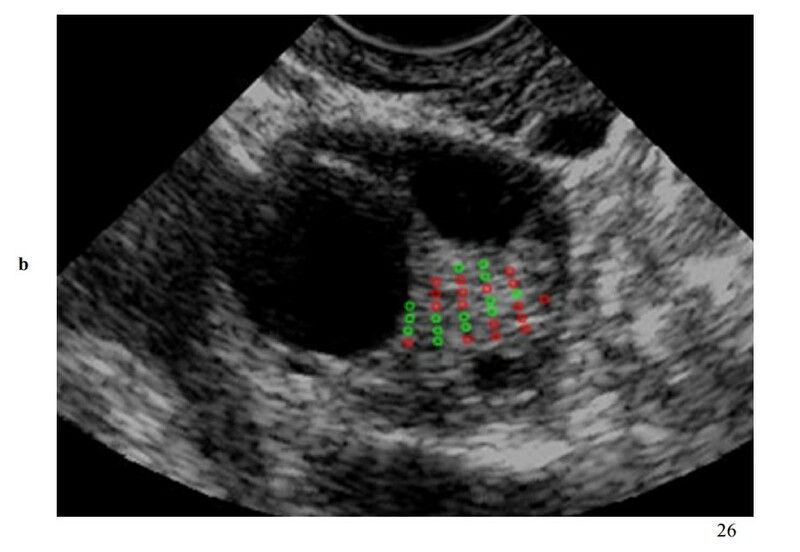 On a split screen the investigator can see the conven­tional ultrasound B-mode image and the color-coded elastogram at the same time. This enables an anatomi­cal view of the prostate along with the elasticity image of the tissue to guide the biopsy needle. 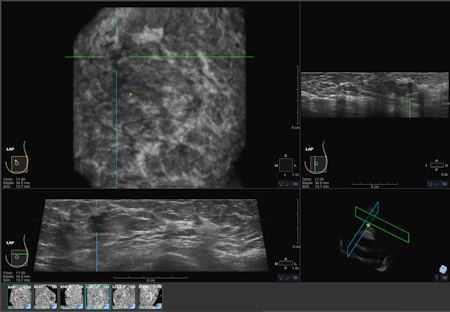 In short, ShearWave Elastography (SWE) is a different elastography technique that can be used for several applications. It automatically gener­ates a real-time, reproducible, fully quantifiable color-coded image of tissue elasticity. QUANTIFICATION OF TISSUE STIFFNESS Such quantification can help to increase the chance that a targeted biopsy is positive for cancer. It has been shown that elastography-targeted biopsies have an up to 4.7 times higher chance to be positive for cancer than a randomized biopsy [4J. 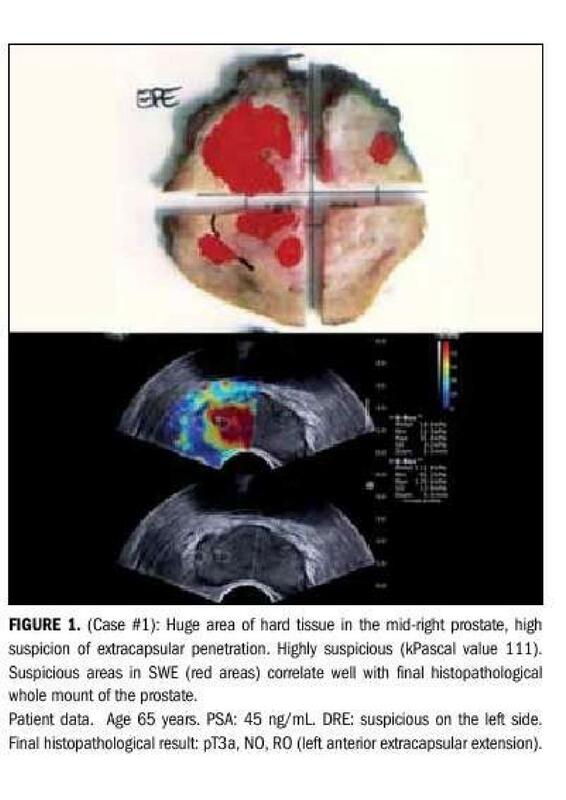 Shear-Wave Elastography can not only visual­ize the tissue stiffness in color but also quantify (in kPa) the stiffness in real time, for several organs including the prostate. Correas et al, reported that with tissue stiffness higher than 45 to 50 kPa the chance of prostate cancer is very high in patients undergoing a pros­tate biopsy. The data from Gorreas et al showed a sensitivity of 80 % and a high negative predictive value of up to 9096. Another group (Barr et A) achieved a negative predictive value of up to 99.6% with a sensitivity of 96.2% and specific­ity of 962%. With a cut-off of 4D kPa the positive biopsy rate for the ShearWave Elastography targeted biopsy was 50%, whereas for randomized biopsy it was 20.8 95. In total 53 men were enrolled in this study. Pallweln, L. et al-. 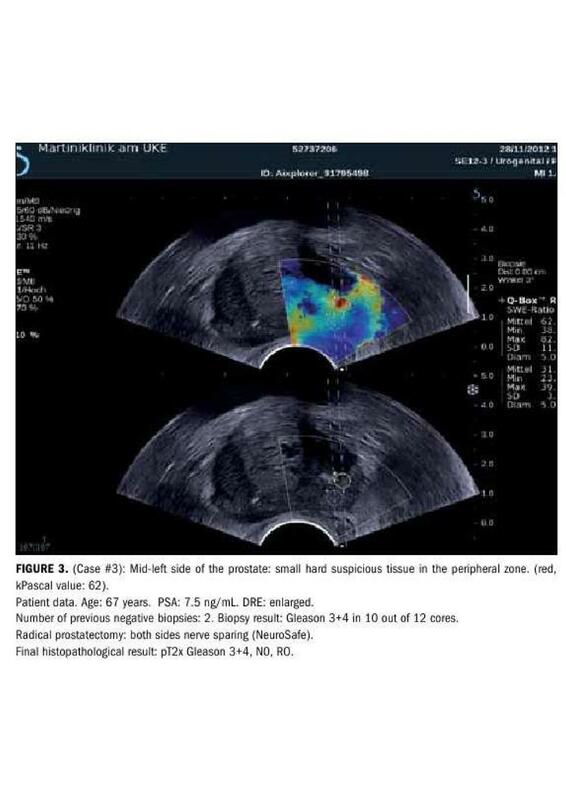 Sonoelastography of the prostate: comparison with systematic biopsy findings in 492 patients. European journal of radiology, 2008. 65(2): p. 304-10. Pallwein, L., et al., Comparison of sono-elastography guided biopsy with systematic biopsy: Impact on prostate cancer detecton. European radiology, 2007_ 17. (9) p. 2278-85. Figure: Basal cell carcinoma with dermal involvement (transverse view, nasal tip). Grayscale sonography (A) and 3-dimensional reconstruction (B, 5- to 8-second sweep) show a 10.1-mm (wide) × 1.4-mm (deep) well-defined hypoechoic oval lesion (between markers in A and outlined in B) that affects the dermis (d) of the left nasal wing. Notice the hyperechoic spots (arrowheads) within the lesion. The nasal cartilage (c) is unremarkable; asterisk indicates basal cell carcinoma. Basal cell carcinoma with dermal and subcutaneous involvement (transverse view, frontal region). 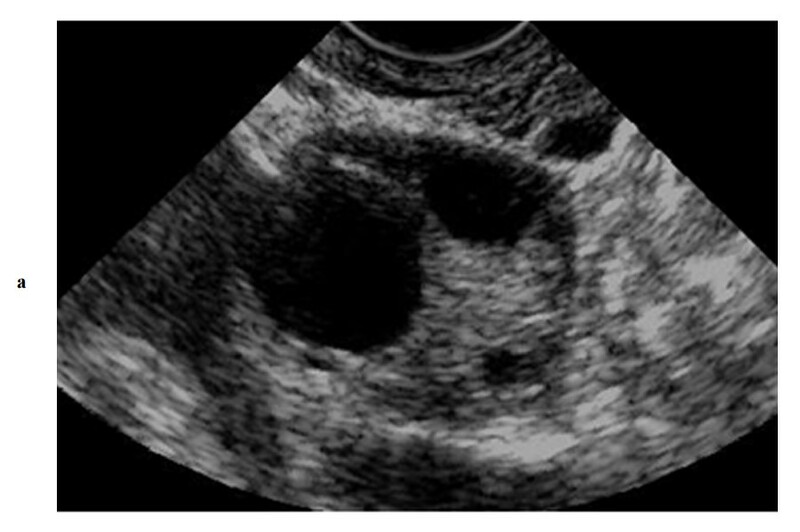 A, Grayscale sonography shows a 11.4-mm (wide) × 6.6-mm (deep) well-defined oval hypoechoic lesion that involves the dermis (d) and subcutaneous tissue (st). There are hyperechoic spots (arrowheads) within the tumor. 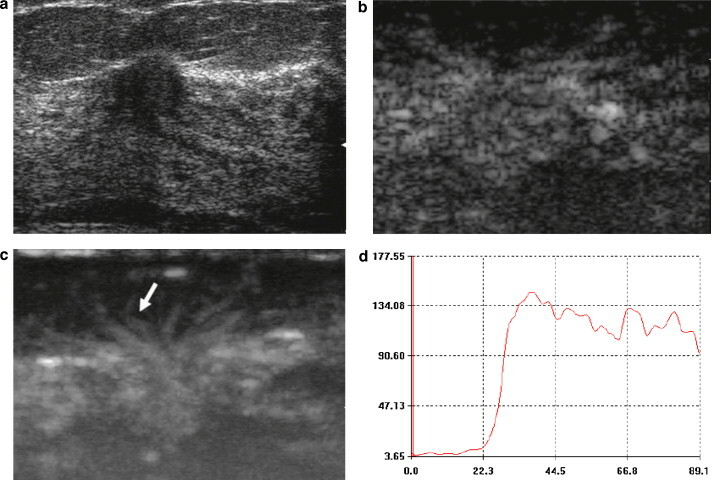 B, Color Doppler sonography shows increased vascularity within the tumor (asterisk). C, Three-dimensional sonographic reconstruction (5- to 8-second sweep) highlights the lesion (asterisk, outlined); b indicates bony margin of the skull. Figure: Pleomorphic presentations of basal cell carcinoma lesions on grayscale sonography (transverse views). Notice the variable shapes of the tumors. Figure: Frequently, blood flow can be detected within the tumor and its periphery, with slow-flow arteries or veins. The latter vascular data can orient the clinician about the distribution and amount of blood flow that he or she will face during surgery. Despite the fact that basal cell carcinomas usually do not present high vascularity, it should be kept in mind that many of basal cell carcinoma operations are performed in the offices of clinicians and not in the main operating rooms of large hospitals. Nevertheless, the finding of high vascularity within a clinically diagnosed basal cell carcinoma may suggest another type of skin cancer that could occasionally mimic basal cell carcinoma, such as squamous cell carcinoma, Merkel cell carcinoma, or a metastatic tumor. The above figure presents variable degrees of vascularity in basal cell carcinoma lesions going from hypovascular to hypervascular on color and power Doppler sonography (transverse views). Figure: The depth correlation between sonography (variable frequency) and histologic analysis in facial basal cell carcinoma has been reported to be excellent. 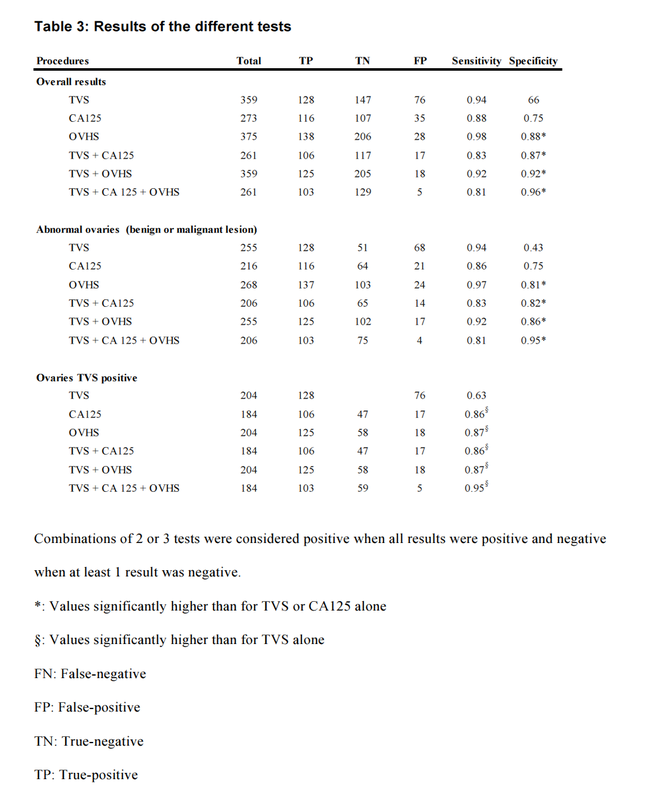 Thus, the intraclass correlation coefficient for comparing thickness for the two methods (sonography and histologic analysis) that has been described in literature is 0.9 (intraclass correlation coefficient values ≥0.9 are very good; 0.70–0.89 are good; 0.50–0.69 are moderate; 0.30–049 are mediocre; and ≤0.29 are bad). Two rare sonographic artifacts have been described in basal cell carcinoma. One is the “angled border” that is produced by an inflammatory giant cell reaction underlying the tumor, which may falsely increase the apparent size of the tumor. The other is the “blurry border,” which is produced by large hypertrophy of the sebaceous glands surrounding the lesion. According to the literature, both artifacts can be recognized by a well-trained operator. The figure above presents the sonographic involvement of deeper layers such as the nasal cartilage and orbicularis muscles in the face is of critical importance and may change the decision about the type of surgery. Basal cell carcinoma with nasal cartilage involvement (3-dimensional reconstruction, 5- to 8-second sweep, transverse view, left nasal wing). Notice the extension of the tumor (asterisk, outlined) to the nasal cartilage region (c); d indicates dermis. Basal cell carcinoma with involvement of the orbicularis muscle of the eyelid (m). Grayscale sonography (transverse view, right lower eyelid) shows that the tumor (asterisk) affects the muscle layer (arrows). Many feedbacks to my last post reflected radiologists’ perception of ultrasound as a low-tech, unreliable imaging device. Ultrasounds most manifested limitation by radiologists is that its performance is too-much user-dependent. This opinion finds support in numerous clinical studies concluding that ultrasound-based assessment of a cancer patient varies with the operator. How come that an imaging technology that is not only low-cost, simple to operate and risk-free to the patient, but has also gained a leading position in certain domain, like obstetrics, is perceived as the underdog when it comes to cancer assessment? Could it be because of its positioning as a “multi-purpose” system, which requires only very basic training? If indeed this is the case, it doesn’t require “rocket-science” to turn it around. It only needs designing dedicated ultrasound machines who offer a comprehensive solution to one specific clinical need. Using such machines will require highly skilled operators who will enjoy a superior workflow, reporting tools and proven clinical guidelines. The unsatisfactory reality of mammography-based breast cancer screening, as evident by epidemiology data and expert-panels’ reports, opens the opportunity to transform ultrasound into a winner in the niche-market of breast cancer screening and diagnosis. It’s a significant market that justifies the investment in ultrasound systems dedicated to detection and characterisation of breast cancer lesions. No doubt, that the ability to provide accurate and standardized interpretation of such ultrasound systems’ scans is a pre-requisite. Ultrasound-based tissue characterisation is a must for any application aiming at standardized image interpretation. A sample out-of present ultrasound-based technologies aiming at providing some level of tissue-characterisation are listed below. Recent clinical studies show promising results using these technologies. It is worth watching carefully to see if any of those could be part of a future ultrasound-based solution to breast cancer screening. Results: Of the 136 biopsied lesions, 54 were carcinomas and 82 were benign. The average total hemoglobin concentration in the malignant group was 223.3 μmol/L ± 55.8 (standard deviation), and the average hemoglobin concentration in the benign group was 122.5 μmol/L ± 80.6 (P = .005). When the maximum hemoglobin concentration of 137.8 μmol/L was used as the threshold value, the sensitivity, specificity, positive predictive value, negative predictive value, and accuracy of DOT with US localization were 96.3%, 65.9%, 65.0%, 96.4%, and 76.5%, respectively. The sensitivity, specificity, positive predictive value, negative predictive value, and accuracy of conventional US were 96.3%, 92.6%, 89.7%, 97.4%, and 93.4%, respectively. The sensitivity, specificity, positive predictive value, negative predictive value, and accuracy of conventional US combined with DOT were 100%, 93.9%, 91.5%, 100%, and 96.3%, respectively. Conclusion: US-guided DOT combined with conventional US improves accuracy compared with DOT alone. 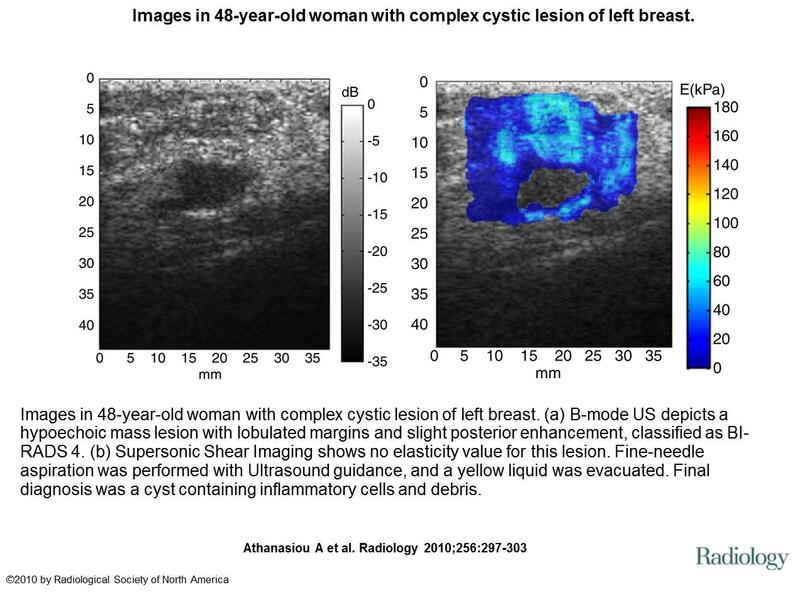 Results: All breast lesions were detected at Supersonic Shear Imaging. Malignant lesions exhibited a mean elasticity value of 146.6 kPa ± 40.05 (standard deviation), whereas benign ones had an elasticity value of 45.3 kPa ± 41.1 (P < .001). Complicated cysts were differentiated from solid lesions because they had elasticity values of 0 kPa (no signal was retrieved from liquid areas). Conclusion: Supersonic Shear Imaging provides quantitative elasticity measurements, thus adding complementary information that potentially could help in breast lesion characterization with B-mode US. Results: The Az of B-mode US, US elastography, and Doppler US (average, 0.844; range, 0.797–0.876) was greater than that of B-mode US alone (average, 0.771; range, 0.738–0.798) for all readers (P = .001 for readers 1, 2, and 3; P < .001 for reader 4; P = .002 for reader 5). When both elastography and Doppler scores were negative, leading to strict downgrading, the specificity increased for all readers from an average of 25.3% (75.4 of 298; range, 6.4%–40.9%) to 34.0% (101.2 of 298; range, 26.5%–48.7%) (P < .001 for readers 1, 2, 4, and 5; P = .016 for reader 3) without a significant change in sensitivity. 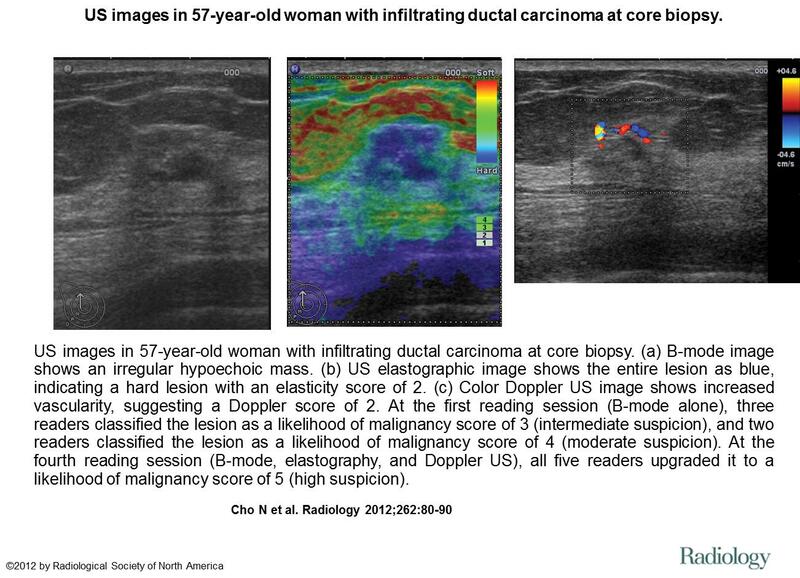 Conclusion: Combined use of US elastography and color Doppler US increases both the accuracy in distinguishing benign from malignant masses and the specificity in decision-making for biopsy recommendation at B-mode US. A 57-year-old woman with a no-palpable lesion in the outer upper quadrant of left breast. (a) Gray scale image show an indistinct, hypo-echoic lesion. (b) Contrast enhanced image obtained 35 s after contrast agent injection showing a homogeneously and hyper-enhanced lesion. (c) Micro flow image obtained 38 s after contrast agent injection showing the enhanced mass with several radial vessels (arrow). (d) The time-intensity curve analysis show the peak intensity is 145.69 (intensity/1000), time to peak is 15.08 s, ascending slope is 8.98, descending slope is 1.03, the area under the curve is 7783.34. Pathologic analyses show this is an invasive ductal carcinoma. Results: Histopathologic analysis of the 91 lesions revealed 44 benign and 47 malignant. For qualitative analysis, benign and malignant lesions differ significantly in enhancement patterns (p < 0.05). Malignant lesions more often showed heterogeneous and centripetal enhancement, whereas benign lesions mainly showed homogeneous and centrifugal enhancement. The detectable rate of peripheral radial or penetrating vessels was significantly higher in malignant lesions than in benign ones (p < 0.001). For quantitative analysis, malignant lesions showed significantly higher (p = 0.031) and faster enhancement (p = 0.025) than benign ones, and its time to peak was significantly shorter (p = 0.002). The areas under the ROC curve for qualitative, quantitative and combined analysis were 0.910 (Az1), 0.768 (Az2) and 0.926(Az3) respectively. The values of Az1 and Az3 were significantly higher than that for Az2 (p = 0.024 and p = 0.008, respectively). But there was no significant difference between the values of Az1 and Az3 (p = 0.625). Conclusions: The diagnostic performance of qualitative and combined analysis was significantly higher than that for quantitative analysis. Although quantitative analysis has the potential to differentiate benign from malignant lesions, it has not yet improved the final diagnostic accuracy. Results: In 17 normal testing volumes, 3% of isolated voxels were classified as abnormal. In 15 abnormal testing volumes, the subclassifiers differentiated between malignant and benign tissue. BHS in benign tissue showed <1% abnormal voxels in cyst, hamartoma, papilloma and benign fibrosis. The fibroadenomas differed showing <5% and <24% abnormal voxels. Abnormal voxels in cancers increased with the volume of cancer at pathology. Conclusions: HistoScanning reliably discriminated normal from abnormal tissue and could distinguish between benign and malignant lesions.